Setting employee goals is a critical prerequisite for their evaluation process. You can't manage what you don't measure. It's no surprise that unrealistic and vague goals frustrate employees. This tends to kill motivation and productivity. You can also learn a lot about setting goals from every day leisure activities like playing Candy Crush. 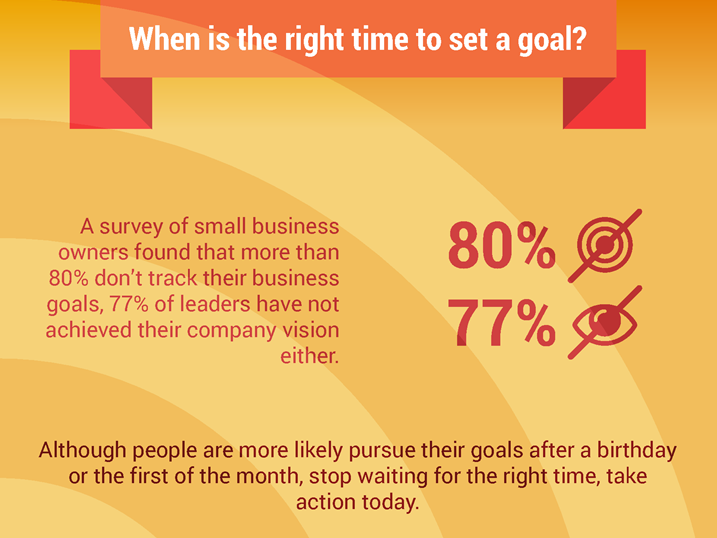 According to a survey conducted among small business owners, 80% have failed to track their business goals. Not surprisingly, 77% of those of failed to set and track goals, also failed to achieve their company’s vision. It's a clear implication that without setting clear goals and keeping a track record, you set yourself up for failure. How to set employee goals? In the beginning of the year, there's always an overwhelming amount of information about goal-setting. It’s a known fact that people tend to set and pursue their goals after a birthday or the first of month. Although it's nice to start a new year fresh with new goals, it shouldn't be the case. While you might want to wait until the perfect time has come, in reality, the best time for goal setting is now. Goal setting is an uncomfortable process. It demands you to predict the unforeseen. It challenges yourself and your team. It makes you ditch the all too familiar comfort zone, which no one really likes stepping out of. Nevertheless, it won’t get any easier in the future. That’s why it’s crucial to start setting and tracking goals now. Before it’s not written down, it’s just a wish. People have about 35 thoughts in a minute. If the goals are only in your mind, they are invariably vague and uncertain in many ways. Help employees write down their goals. This will inherently increase the commitment level. Putting things on paper or to the OKR system, will clarify your expectations and provoke the whole team to take the next necessary step. We also have a long in-depth manual that guides you through the process of turning objectives into results with less frantic effort, check it out here – Turning Objectives into Results. Writing down the goals is not enough. It's best if employees' goals are public so that everyone on the team can view them. In addition to keeping everyone in the loop, this will pressure people to plan accordingly. In Weekdone, we have a special feature for setting and communicating goals. It's the famous OKRs, Objectives and Key Results system. It helps you connect different level objectives to measurable results, making people move together in the right direction. Time-bound – with a certain deadline. It’s much easier to achieve success when different level objectives are all aligned. Spend enough time to communicate the company’s mission, vision and goals to everyone. Make sure people understand how they contribute to the company’s success. 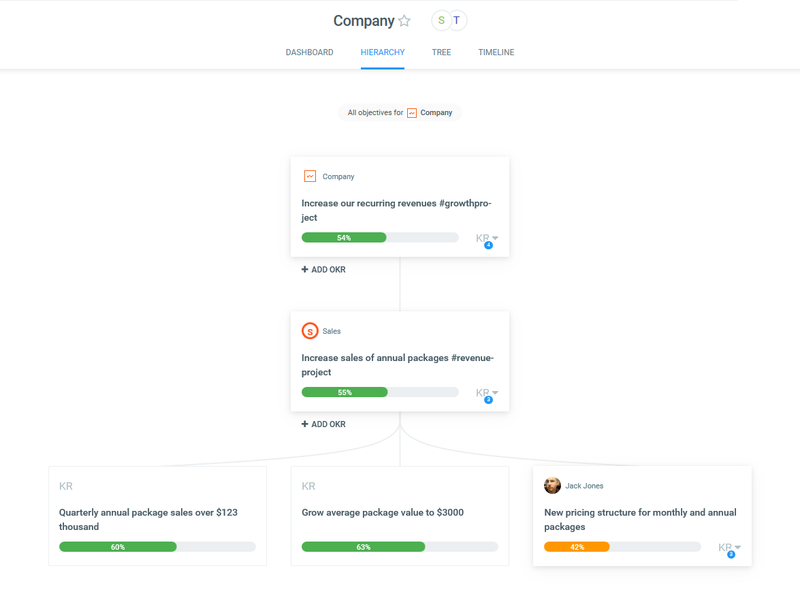 This will make it easier to link personal, team and company objectives all together. As mentioned before, specific difficult goals lead to higher performance. Furthermore, setting challenging, yet attainable goals, separate average employees from the best. But make sure these goals are attainable. When they are beyond reachable, they’ll act as a de-motivator. Find a balance between these two extremes. Having set proper goals is a big step towards realizing the future vision. Nonetheless, it’s only the first step. Therefore, chunk the goals into daily, weekly and monthly tasks and focus your plans on what’s important. After all, not knowing which work is the priority is considered to be one of the biggest employee time wasters. That's why in Weekdone we have integrated the Objectives and Key Results method with weekly reports. This way, the manager gets a clear overview how each team-member is working towards the goals on a regular basis. You get a quick feedback from employees on their progress and can improve the guidance you give your people. 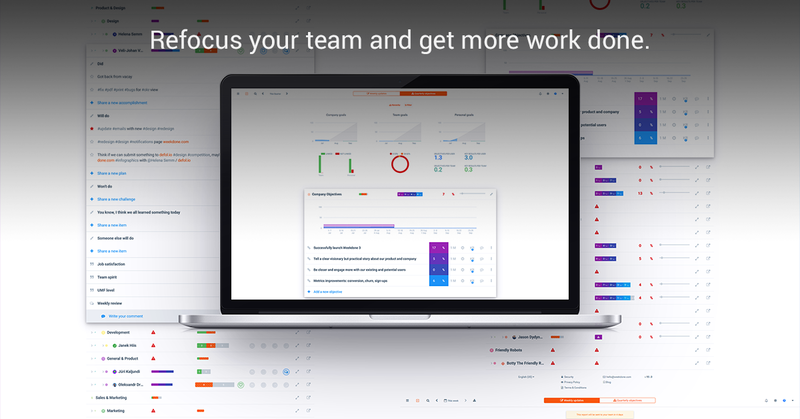 If you aren't using Weekdone employee progress reporting software, give it a try. We offer a free trial so there's nothing to loose.